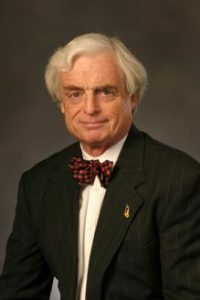 Dr. McCarthy created and endowed the annual Leo J. McCarthy, M.D. Lectureship in Transfusion Medicine in 1997 at the Indiana University School of Medicine where he also established an accredited fellowship in Transfusion Medicine in collaboration with the Indiana Blood Center. At the 1997 Indiana Association of Blood Banks he received the Victor H. Muller Award to acknowledge his contributions to transfusion medicine, blood banking, and transfusion services. In 2000 he became an alumnus member of the Alpha Omega Alpha (AOA) Medical Honor Society Nebraska Chapter. He was honored in 2001 with the IUPUI campus-wide Glenn W. Irwin, JR., M.D. Excellence Recognition Award. In 2002 he received the John Elliot Memorial Award that recognizes an individual for outstanding service to the American Association of Blood Banks, an international, not-for-profit association dedicated to the advancement of science and the practice of transfusion medicine. One year later in recognition of his mastery of and passion for transfusion medicine, he became a Sagamore of the Wabash, Indiana’s highest award by the Governor. Since 1971 I taught/supervised 2nd year medical students weekly in the General Pathology and Systemic Pathology courses… lectured entire class on the indications for the transfusion of blood and components as well as the complications of transfusion. I also provided these lectures to several of the students at satellite campuses, e.g., Terre Haute, Bloomington, South Bend and Lafayette, for decades. I provided our Pathology residents with daily lectures on various transfusion topics during their rotation. I developed the first accredited Transfusion Medicine Fellowship in the state, with the Indiana Blood Center, to teach this “new discipline” to those pursuing this career. This fellowship is still active and has provided several Transfusion Medicine specialists in its nearly two decades of existence. It remains the only such fellowship in the state. Since IU enrolls the largest medical school class in the country (well over 300 freshman students yearly), I lectured to the largest group of medical students in the United States, perhaps in the world. I have advised/mentored countless students, residents, and junior faculty as well as aspiring Naval Academy applicants (as Naval Academy Admissions Counselor). In the early years of my career the Transfusion Medicine specialty was new and unknown to most. For years I was the only one in Indiana with board certification in Transfusion Medicine. Acceptance of this new specialty’s practice and impact was minimal at best by many physicians and administrators. However, I provided Grand Rounds to Anesthesia and Surgery departments occasionally both at the medical center and at several Indiana hospitals. I chaired the Transfusion Review committee for years at IU and Wishard and was an active board member of the Indiana Blood Center serving as its Chairman of the Board for a term. I was one of few selected to present the Hematology continuing education review course by the American Society of Clinical Pathology (ASCP) to national audiences of medical technologists/hematologists/pathologists. This course remains the most successful and heavily attended in the history of the ASCP’s medical education. I gave the six-hour lecture consisting of over 100 slides depicting blood and bone marrows of numerous diseases and case histories. I presented this same material at several national and regional meetings for nearly a decade. Because of the slow acceptance of applying the basic concepts of Blood Transfusions’ specific indications and its numerous potential adverse effects, compounded by the lack of formal teaching of Transfusion in our post-graduate curriculum for the residents and fellows, I felt compelled to establish an annual blood transfusion lectureship, now the Leo J. McCarthy MD Lectureship in Transfusion Medicine, in 1997. It remains one of the very few such lectureships in existence in the U.S. and perhaps globally. This was established in conjunction with the Riley Children’s Foundation. The lectureship has been well attended and most of the lecturers have been renowned experts in this field. The International Society of Blood Transfusion elected me as a USA representative to its Board on which I served two terms. I gave numerous lectures and presented interesting cases at all their yearly meetings in Europe and Asia for nearly a decade. I was a founding member of their Foundation Board and am a past president of that board. I was privileged to be an associate editor of Transfusion Medicine Review, which has the highest impact factor of all Transfusion publications. For over a decade I authored and recommended articles for the journal. Because the history of Medicine has never been required nor included in our formal medical school curriculum, in 2015 I funded the Leo J McCarthy MD Lectureship in the History of Medicine. Our first topic was the life and contributions of Sir William Osler, the acknowledged most illustrious and important physician from this continent, often referred to as the “Father of Modern Medicine”. The lecture, given by the renowned Dr. Charles Bryan, was wonderfully attended by faculty and students. I am both pleased and grateful to have the Ruth Lilly Medical Library History of Medicine room named in my honor this year. I loaned my early Transfusion artifacts to them and have funded the creation of a virtual library for this endeavor. My passion for the history of Blood Transfusion has been satisfied by presenting its complex and mostly unrecognized history to many audiences, most recently at the 2014 annual Richard B. Davis Memorial History of Medicine Lecture at the University of Nebraska, the annual meetings of the ISBT in Istanbul and Bangkok, as well as at several other centers and/or societies. I am privileged to have the special collections suite at Nebraska’s McGoogan Medical Library named in my honor last year. The American Association of Blood Banks (AABB) has an accreditation program which is preeminent among all other such agencies. I was Indiana’s Inspector and Accreditation Area Chairman for nearly two decades assigning inspectors, reviewing their findings, and personally inspecting blood banks/centers. In the early 1970s, under my direction, the Pathology department at Wishard (then Marion County General) Hospital began performing bone marrow aspirations and biopsies, as well as providing and retaining professional typed reports of the results/diagnoses. For decades these aspirations and bone marrow biopsies were performed by the house staff with little or no supervision. Sadly, aseptic technique was rarely followed. The bone marrow needles were not sterilized and were kept in a cigar box! Our Pathology department had never offered this service nor had anyone kept permanent records of the results of the aspirations and biopsies. The slides were discarded and the interpretation of results was merely hand written, sometimes illegibly, in the patients’ charts. No formal typewritten records were made or retained. It was exceedingly difficult to finally be allowed to offer this service because this activity had been the sole domain of the Medicine department for decades. Eventually, we were successful in our efforts to have the Pathology department offer this service. I either performed the aspirations and biopsies myself or instructed our residents whom I trained and supervised. We were eventually performing 90-100 such procedures a year. Amongst the other improvements were the retention of slides and typed, archived reports which were maintained for potential review. I also introduced the “new” Jamshidi core needle which greatly simplified performing marrow needle biopsies. Before this, marrow biopsies were exceedingly difficult to perform and endure, as well as witness, because of the size of the needles. The use of the very thin, concave pointed Jamshidi needle greatly simplified the performance of aspirations and biopsies and produced much less discomfort for the patients. It was adopted for widespread use on campus. At Marion County General Hospital, in the mid-1970s I implemented a rudimentary data collection system of donors and recipients on punch-cards. This pre-computer early basic attempt to permanently track donors’ and recipients’ data greatly improved our record keeping. During my tenure we transfused more blood products than any other medical center in the country: Red Blood Cells (RBC’s), platelets, Fresh Frozen Plasma (FFP), cryoprecipitate FVIII (therapy for hemophiliacs). See Addendum. Additionally, we provided transfusion support for Indiana’s first liver transplant program in 1985, often exceeding over 100 units per patient! This program has grown into perhaps the busiest liver transplant program in the United States, and therefore the world. We also supported and helped develop the first bone marrow transplant programs for adults and children in the state. Our frozen blood program was the first and largest in Indiana. The ability to freeze cells greatly facilitated the development of the bone marrow stem cell programs, autologous and allogeneic, now decades old. In the early 1970s we pioneered utilizing plasma exchange as useful therapy for treating selected patients and providing white blood cells for transfusion to leucopenic patients. We have now treated over 200 patients with Thrombotic Thrombocytopenic Purpura (TTP) which has a > 90% mortality without plasma exchange therapy. This remains the single largest experience in treating TTP patients in the United States and most probably in the world. I was privileged to serve as the treasurer for the John Shaw Billings Society for the History of Medicine for decades. The society provided several lectures yearly for interested faculty, students, and staff. I received the Glenn W. Irwin Jr. M.D. Experience in Excellence award in 2001 for “service to IUPUI beyond the call of duty”. During the 1970s at Wishard I performed occasional autopsies during the week as well as three weekends of every month, usually 2-6 autopsies per weekend. My appearance in court was at times required in criminal cases. I performed nearly ~1000 autopsies. The AIDS epidemic cast an ever expanding dark cloud of doubt over the integrity and competence of the global transfusion professional community. This attitude was quite evident here for years until the HIV virus and its most common modes of transmission were identified. With the emergence of the AIDS epidemic in the late 1970s and 1980s there was general fear and panic that one could contract AIDS (Acquired Immune Deficiency Syndrome) by receiving transfusions and even from donating blood! Even though early data showed that transfusion was never the most common method of contracting AIDS, nonetheless the written and visual media made “good copy” by excoriating the transfusion community nearly daily and relentlessly blamed the entire discipline, e.g., the American Red Cross, the American Association of Blood Banks, the national Hemophiliac Society, making our jobs exceedingly difficult during this already challenging era. Public fear was further accentuated when many notable people disclosed they had contracted AIDS, e.g., “Magic” Johnson, Arthur Ashe, Rock Hudson, and the notorious New York attorney Roy Cohn. Indiana’s Ryan White was perhaps the most famous young patient. He contracted the virus from receiving standard hemophiliac therapy prepared by a national organization and transfused here. The very hostile environment that blamed the Transfusion community for this epidemic is difficult to describe. Those in this field received unending criticism and ridicule during those many years. Consequently, the integrity and professionalism of much of the world’s Transfusion community was impugned in spite of data which showed that the most common modality of contracting the virus was not through blood transfusion. Multiple law suits against blood centers, Transfusion physicians and services dragged on for decades. Perhaps the most distressing was the imprisonment for years of several senior French physicians in France’s National Blood Service for their perceived roles in contributing to the spread of AIDS by transfusion. Subsequently, it became clear that the main spread of infection occurred within high risk groups through sexual activities and/or sharing contaminated needles. In 1983 Dr. Luc Montagnier identified the retro virus at the Pasteur Institute in Paris. A series of tests were subsequently developed which accurately identified the virus in donated blood. (March 1985 FDA approved Elisa test, the first test for detecting AIDS. April 1987 FDA approved Western blot test as more accurate to test for HIV antibodies. September 2001 first nucleic acid test (NAT) system licensed by FDA.) The application of these tests spread quickly internationally and virtually eliminated the HIV virus from the world’s blood supply. In the decade of the onset of the AIDS epidemic I was on call every night and every weekend until 1991 when Dr. Connie Danielson shared on-call duties. My primary duty was service which consumed virtually all of my professional energies. Consequently, I was unable to pursue much primary research. However, I was a cooperative and willing collaborator with many colleagues needing to utilize our specialized transfusion products in their research/grants. See CV, GRANTS, FELLOWSHIPS, AND AWARDS pages 19-21. Also, I authored or co-authored many important papers several of which have received numerous secondary citations. See last page of CV. Applying an innovative treatment/modality is probably the purist form of research and originated in ancient medical practices. Documenting the ineffectiveness of an accepted medical practice/treatment for a disease/illness is more difficult yet seldom recognized as medical research (aka negative results). In many instances negative data (what is not effective) is far more crucial than positive data. Consequently, I describe my two experiences as classic examples of both types of research. We were the first to utilize automated red cell exchange therapy with patients afflicted with cerebral malaria (Am J Med Sci 1979). Our series of automated red cell exchanges most certainly saved the life of an IU medical student who contracted malaria at our African campus. She developed a life-threatening falciparum cerebral malaria after her return to Indianapolis. Our multiple red cell exchanges dramatically reduced the level of parasitemia to allow the standard treatments to be effective, and she recovered completely. Unfortunately, after graduation she returned to Africa, again contracted malaria, and did not take the recommended standard prophylactic pills because none were available for her African patients. She did not survive. Automated red cell exchanges have saved many lives of those suffering from cerebral malaria. Emergency automated red cell exchanges by apheresis were widely recommended as “the most appropriate therapy” for treating patients with sickled red cells who developed painful priapism. We were the first to demonstrate conclusively that such automated red cell exchanges were not effective first line therapy and were no more effective than standard therapy (J Clin Apheresis 1999). Automated red cell exchanges are far more problematic for the patients as well as costlier without reducing the pain or duration of priapism. As a way of giving back to those who instilled in me my passion for life-long learning, I have proudly established endowed scholarships at Saint Margaret Mary Grade School (Omaha) and Creighton Preparatory High School (Omaha). I have also endowed Creighton Prep’s Dr. Leo J. McCarthy Ignatian Leadership Institute. In honor of their remarkable coaching I endowed the Palrang/Pfeifer Boys Town Scholarship where I worked part time while in college. During my over 30 years here I enjoyed the support of innumerable truly outstanding technical supervisors who gave their unfailing enthusiastic service to achieve our many successes. There are far too many to innumerate. However, I would be sadly remiss not to mention: Narcissa Hocker, Betty Korn, Carolyn Overly, Angel and Elvira Miguel, Susan Wilson, John Weidner, Carol Parker, Sandra Rothenberger, Alvin Limiac, Elaine Skipworth, Stanley Roberts, and Vicki Graves. Without their due diligence, un-ending support, and cooperation we could never have achieved our many successes. We transfused nearly 2 million units of blood/specialized blood components saving/improving thousands of lives. Unbelievably, our activities have not been responsible for a single transfusion fatality! Hopefully, we can all remain exceedingly proud of our “moment in the sun” having substantially created decades of achieved excellence at our medical center… I know I am. “Great Minds of the 21st Century”, 2007. McCarthy, L. J., Wahle, W. M., & Moosey, N. A. (1975). Carcinosarcoma of the urinary bladder–a case report. Journal of the Indiana State Medical Association, 68(8), 722-724. PMID 1141694. McCarthy, L. J., & Aguilar, J. C. (1977). Fatal benign phenytoin hypersensitivity. Lancet, 2(8044), 932. PMID 72273. McCarthy, L. J., Aguilar, J. C., & Ransburg, R. (1979). Fatal benign phenytoin lymphadenopathy. Archives of Internal Medicine, 139(3), 367-368. PMID 426584. Nielsen, R. L., Kohler, R. B., Chin, W., McCarthy, L. J., & Luft, F. C. (1979). The use of exchange transfusions: a potentially useful adjunct in the treatment of fulminant falciparum malaria. American Journal of the Medical Sciences, 277(3), 325-329. PMID 377965. Hull, M. T., Priest, J. B., Broadie, T. A., Ransburg, R. C., & McCarthy, L. J. (1981). Glycogen-rich clear cell carcinoma of the breast: A light and electron microscopic study. Cancer, 48(9), 2003-2009. PMID 6271388. McCarthy, L. J., & Parker, C. (1981). Positive antiglobulin tests in a boy struck by lightning. New England Journal of Medicine, 305(5), 283. PMID 7242620. Thompson, H. W., & McCarthy, L. J. (1983). Thrombotic thrombocytopenic purpura. Potential benefit of splenectomy after plasma exchange. Archives of Internal Medicine, 143(11), 2117-2119. PMID 6685464. McCarthy, L. J., & Korn, B. (1984). A problem in communication. Transfusion, 24(2), 184. PMID 6369657. McCarthy, L. J. (1985). Leukostasis thrombi. JAMA, 254(5), 613. PMID 4009895. McCarthy, L. J., & Lister, K. (1988). Treatment of aspirin overdose. Journal of Clinical Apheresis, 4(1), 50. PMID 3391989. English, D., Lamberson, R., Graves, V., Akard, L. P., McCarthy, L. J., & Jansen, J. (1989). Semiautomated processing of bone marrow grafts for transplantation. Transfusion, 29(1), 12-16. PMID 2643209. Friend, P. J., McCarthy, L. J., Filo, R. S., Leapman, S. B., Pescovitz, M. D., Lumeng, L., . . . et al. (1990). Transmission of idiopathic (autoimmune) thrombocytopenic purpura by liver transplantation. New England Journal of Medicine, 323(12), 807-811. PMID 2392133. McCarthy, L., Filo, R., Leapman, S., & Thomalla, J. V. (1990). Treatment of suspected humorally mediated renal allograft dysfunction by plasma exchange. Progress in Clinical & Biological Research, 337, 269-270. PMID 2352985. McCarthy, L., Kotylo, P., & Lister, K. (1990). Plasma exchange and thrombotic thrombocytopenic purpura, the Indiana University Medical Center experience. Progress in Clinical & Biological Research, 337, 115-117. PMID 2352970. McCarthy, L. J., Ball, M. J., & Hsueh, Y. (1990). Finally … the hepatitis C virus. Indiana Medicine, 83(11), 825. PMID 2175759.
van Besien, K., Nichols, C. R., Tricot, G., Langefeld, C., Miller, M. E., Akard, L., . . . et al. (1990). Characteristics of engraftment after repeated autologous bone marrow transplantation. Experimental Hematology, 18(7), 785-788. PMID 2165911. McCarthy, L. J., Graves, V. L., Eigen, H., & McGuire, W. A. (1991). Platelet apheresis for extreme thrombocytosis in an 11-year-old girl with CML. Transfusion Medicine, 1(3), 187-189. PMID 9259847. McCarthy, L. J., Hsueh, Y., Danielson, C., & Thelia, A. (1991). Hepatitis C. Indiana Medicine, 84(11), 812. PMID 1761856. Graves, V., Gabig, T., McCarthy, L., Strour, E. F., Leemhuis, T., & English, D. (1992). Simultaneous mobilization of Mac-1 (CD11b/CD18) and formyl peptide chemoattractant receptors in human neutrophils. [Erratum appears in Blood 1993 Mar 15;81(6):1668]. Blood, 80(3), 776-787. PMID 1322204. Graves, V. L., Danielson, C. F., Broun, E. R., Tricot, G., & McCarthy, L. J. (1992). Expanding role of the bone marrow processing laboratory. Progress in Clinical & Biological Research, 377, 373-378. PMID 1438433. McCarthy, L. J. (1992). Blood shortage. Indiana Medicine, 85(1), 11. PMID 1740616. Graves, V., Gabig, T., McCarthy, L., Strour, E. F., Leemhuis, T., & English, D. (1993). Erratum: Simultaneous mobilization of mac-1 (CD11b/CD18) and formyl- peptide chemoattractant receptors in human neutrophils (Blood (August 1, 1992) 80:3 (776-787)). Blood, 81(6), 1668.
Henley, J. D., Danielson, C. F., Rothenberger, S. S., Hsueh, Y., Thelia, A., & McCarthy, L. J. (1993). Kasabach-Merritt syndrome with profound platelet support. American Journal of Clinical Pathology, 99(5), 628-630. PMID 8493954. McCarthy, L. J., Cotton, J., Danielson, C., Graves, V., & Bergstein, J. (1994). Goodpasture’s syndrome in childhood: treatment with plasmapheresis and immunosuppression. Journal of Clinical Apheresis, 9(2), 116-119. PMID 7798157. McCarthy, L. J., & Culbertson, C. G. (1994). Blood transfusion at the Indiana University Medical Center. Indiana Medicine, 87(2), 112-113. PMID 8176193. Slowman, S., Danielson, C., Graves, V., Kotylo, P., Broun, R., & McCarthy, L. (1994). Administration of GM-/G-CSF prior to bone marrow harvest increases collection of CD34+ cells. Progress in Clinical & Biological Research, 389, 363-369. PMID 7535443. Danielson, C. F., Waldo, C. T., Rothenberger, S. S., Fitzgerald, J. F., Pescovitz, M. D., Friend, P. J., & McCarthy, L. J. (1995). Blood usage for liver transplantation in infants and children. Laboratory Medicine, 26(8), 533-536. McCarthy, L. J. (1995). The first use of a centrifuge to detect red cell agglutination. Transfusion, 35(7), 617. PMID 7631397. McCarthy, L. J., Danielson, C. F., Cornetta, K., Srour, E. F., & Broun, E. R. (1995). Autologous bone marrow transplantation. Critical Reviews in Clinical Laboratory Sciences, 32(1), 67-119. PMID 7748468. Danielson, C. F., Filo, R. S., O’Donnell, J. A., & McCarthy, L. J. (1996). Institutional variation in hemotherapy for solid organ transplantation. [Erratum appears in Transfusion 1996 Aug;36(8):764]. Transfusion, 36(3), 263-267. PMID 8604514. Danielson, D. V. M., Filo, R. S., O’Donnell, J. A., & McCarthy, L. J. (1996). Erratum: Institutional variation in hemotherapy for solid organ transplantation (Transfusion (1996) 36 (263-267)). Transfusion, 36(8), 764. Haidar, J. H., Neiman, R. S., Orazi, A., Albitar, M., McCarthy, L. J., & Heerema, N. (1996). mdm-2 oncoprotein expression associated with deletion of the long arm of chromosome 12 in a case of mantle cell lymphoma with blastoid transformation [corrected]. [Erratum appears in Mod Pathol 1996 Jul;9(7):803]. Modern Pathology, 9(4), 355-359. PMID 8729971. McCarthy, L. J., Danielson, C., Orazi, A., Skipworth, E., Jackson, L., Graves, V., . . . Cornetta, K. (1996). Platelet loss during peripheral blood progenitor cell collections. Transfusion Science, 17(3), 475. PMID 10163557. McCarthy, L. J., Danielson, C., Pugh, M., Skipworth, E., & Capello, W. (1997). Should cardiac disease prevent autologous blood donation? Transfusion Science, 18(1), 81-83. PMID 10174296. McCarthy, L. J., Danielson, C. F., & Rothenberger, S. S. (1997). Indications for emergency apheresis procedures. Critical Reviews in Clinical Laboratory Sciences, 34(6), 573-610. PMID 9439885. Porcu, P., Danielson, C. F., Orazi, A., Heerema, N. A., Gabig, T. G., & McCarthy, L. J. (1997). Therapeutic leukapheresis in hyperleucocytic leukaemias: lack of correlation between degree of cytoreduction and early mortality rate. British Journal of Haematology, 98(2), 433-436. PMID 9266944. Robertson, P. B., Danielson, C. F., & McCarthy, L. J. (1997). Unexpected hemoglobin electrophoresis results following red cell exchange in a sickle cell anemia patient with acute chest syndrome. Transfusion Science, 18(2), 195-198. PMID 10174684. Rothenberger, S. S., & McCarthy, L. J. (1997). Neonatal alloimmune thrombocytopenia: From prediction to prevention. Laboratory Medicine, 28(9), 592-596. Danielson, C. F., McCarthy, L. J., & Parker, C. (1998). Possible urticarial reaction to new ultra-filtered Rho immune globulin. Vox Sanguinis, 75(2), 155. PMID 9867692. McCarthy, L., Smith, F. O., Emanuel, D., Orazi, A., Danielson, C., Thompson, C., . . . Kreissman, S. (1998). Platelet depletion during pediatric peripheral blood progenitor cell (PBPC) harvesting. Transfusion Science, 19(1), 61. McCarthy, L. J., Danielson, C. F., Skipworth, E. M., & Thompson, C. F. (1998). Hypocalcemia secondary to citrate toxicity. Therapeutic Apheresis, 2(3), 249. PMID 10227780. McCarthy, L. J., Danielson, C. F. M., Skipworth, E. M., & Thompson, C. F. (1998). Letter to the editor. Therapeutic Apheresis, 2(3), 249. McCarthy, L. J., & Gregory, T. (1998). Blood transfusion and the risks of infectious disease. Patient Care, 32(16), 112-115. McCarthy, L. J., Porcu, P., Fausel, C. A., Sweeney, C. J., & Danielson, C. F. (1998). Thrombotic thrombocytopenic purpura and simvastatin. Lancet, 352(9136), 1284-1285. PMID 9788466. McCarthy, L. J., Danielson, C., Weidner, J., & Miraglia, C. (1999). Letter to the editor . Therapeutic Apheresis, 3(4), 348-349. PMID 10608734. McCarthy, L. J., Danielson, C., Weidner, J., & Miraglia, C. (1999). Chronic severe thrombotic thrombocytopenic purpura (TTP). Therapeutic Apheresis, 3(4), 348-349. PMID 10608734. McCarthy, L. J., Danielson, C. F., Fernandez, C., Skipworth, E., Limiac, C. A., Prahlow, T., & Goldman, J. (1999). Intensive plasma exchange for severe autoimmune hemolytic anemia in a four-month-old infant. Journal of Clinical Apheresis, 14(4), 190-192. PMID 10611631. Bennett, C. L., Connors, J. M., Carwile, J. M., Moake, J. L., Bell, W. R., Tarantolo, S. R., . . . Tsai, H. M. (2000). Thrombotic thrombocytopenic purpura associated with clopidogrel. New England Journal of Medicine, 342(24), 1773-1777. PMID 10852999. McCarthy, L. J., Danielson, C., Skipworth, E., Fernandez, C., Albright, E., Orazi, A., & Porcu, P. (2000). Are nucleated red cells significant in patients with thrombotic thrombocytopenic purpura? Therapeutic Apheresis, 4(1), 68. PMID 10728508. McCarthy, L. J., Danielson, C. F., Rothenberger, S. S., Parker, C., Weidner, J., Miraglia, C., . . . Waxman, D. (2000). Completely converting a blood service region to the use of safer plasma. Transfusion, 40(10), 1264-1267. PMID 11061866. McCarthy, L. J., Vattuone, J., Weidner, J., Skipworth, E., Fernandez, C., Jackson, L., . . . Danielson, C. F. (2000). Do automated red cell exchanges relieve priapism in patients with sickle cell anemia? Therapeutic Apheresis, 4(3), 256-258. PMID 10910030. Porcu, P., Cripe, L. D., Ng, E. W., Bhatia, S., Danielson, C. M., Orazi, A., & McCarthy, L. J. (2000). Hyperleukocytic leukemias and leukostasis: a review of pathophysiology, clinical presentation and management. Leukemia & Lymphoma, 39(1-2), 1-18. PMID 10975379. Thurer, R. L., Luban, N. L., AuBuchon, J. P., Silver, H., McCarthy, L. J., Dzik, S., . . . Slichter, S. J. (2000). Universal WBC reduction. Transfusion, 40(6), 751-752. PMID 10864999. McCarthy, L., Eichelberger, L., Skipworth, E., & Danielson, C. (2002). Erythromelalgia due to essential thrombocythemia. Transfusion, 42(10), 1245. PMID 12423504. McCarthy, L. J. (2002). Therapeutic apheresis: current perspectives. Therapeutic Apheresis, 6(1), 1. PMID 11886569. McCarthy, L. J., Danielson, C. F. M., Skipworth, E. M., Peters, S. L., Miraglia, C. C., & Antony, A. C. (2002). Myocardial infarction/injury is relatively common at presentation of acute thrombotic thrombocytopenic purpura: the Indiana University experience. Therapeutic Apheresis, 6(1), 2-4. PMID 11886570. McCarthy, L. J., & Dzik, W. (2002). Immune thrombocytopenic purpura. New England Journal of Medicine, 347(6), 449-450; author reply 449-450. PMID 12168645. McCarthy, L. J., Houseworth, J., & Danielson, C. (2002). Transfusion medicine illustrated. White out: extreme leukocytosis treated with WBC reduction. Transfusion, 42(6), 663. PMID 12147014. Danielson, C., Skipworth, E., Jackson, L., Houseworth, J., & McCarthy, L. (2003). Transfusion medicine illustrated: an unusual plasmapheresis product. Transfusion, 43(4), 421. PMID 12662271. Gastineau, D. A., Davis, M. D., & McCarthy, L. J. (2003). Erroneous erythromelalgia (multiple letters). Transfusion, 43(9), 1337. PMID 12919439. McCarthy, L. J. (2003). The challenge of evidence-based medicine for apheresis. Therapeutic Apheresis & Dialysis: Official Peer-Reviewed Journal of the International Society for Apheresis, the Japanese Society for Apheresis, the Japanese Society for Dialysis Therapy, 7(2), 153-154. PMID 12918936. McCarthy, L. J., Danielson, C. F. M., Miraglia, C., & Waxman, D. (2003). Platelet transfusion and thrombotic thrombocytopenic purpura. Transfusion, 43(6), 829; author reply 829-830. PMID 12757537. Nightingale, S., Wanamaker, V., Silverman, B., McCurdy, P., McMurtry, L., Quarles, P., . . . Satcher, D. (2003). Use of sentinel sites for daily monitoring of the US blood supply. Transfusion, 43(3), 364-372. PMID 12675723. Sarker, A., An, C., Davis, M., Praprotnik, D., McCarthy, L. J., & Orazi, A. (2003). Inflammatory pseudotumor of the spleen in a 6-year-old child: a clinicopathologic study. Archives of pathology & laboratory medicine, 127(3), e127-130. PMID 12653599. Dlott, J. S., Danielson, C. F. M., Blue-Hnidy, D. E., & McCarthy, L. J. (2004). Drug-induced thrombotic thrombocytopenic purpura/hemolytic uremic syndrome: a concise review. Therapeutic Apheresis & Dialysis: Official Peer-Reviewed Journal of the International Society for Apheresis, the Japanese Society for Apheresis, the Japanese Society for Dialysis Therapy, 8(2), 102-111. PMID 15255125. McCarthy, L., Orazi, A., Miraglia, C., Waxman, D., Skipworth, E., & Danielson, C. (2004). What are appropriate initial and salvage therapies for patients with thrombotic thrombocyopenic purpura (TTP)? Acta Medica (Hradec Kralove), 47(1), 59-60; discussion 61. PMID 15168884. McCarthy, L. J. (2004). Evidence-based medicine for apheresis: an ongoing challenge. Therapeutic Apheresis & Dialysis: Official Peer-Reviewed Journal of the International Society for Apheresis, the Japanese Society for Apheresis, the Japanese Society for Dialysis Therapy, 8(2), 112-123. PMID 15255126. McCarthy, L. J. (2004). Thrombotic thrombocytopenia purpura: an update. Therapeutic Apheresis & Dialysis: Official Peer-Reviewed Journal of the International Society for Apheresis, the Japanese Society for Apheresis, the Japanese Society for Dialysis Therapy, 8(2), 75. PMID 15255119. McCarthy, L. J., Dlott, J. S., Orazi, A., Waxman, D., Miraglia, C. C., & Danielson, C. F. M. (2004). Thrombotic thrombocytopenic purpura: yesterday, today, tomorrow. Therapeutic Apheresis & Dialysis: Official Peer-Reviewed Journal of the International Society for Apheresis, the Japanese Society for Apheresis, the Japanese Society for Dialysis Therapy, 8(2), 80-86. PMID 15255121. Houseworth, J. L., Parks, J. A., Miguel, E. A., McCarthy, L. J., & Danielson, C. F. M. (2005). Transfusion medicine illustrated. Iatrogenic green plasma. Transfusion, 45(7), 1047. PMID 15987344. McCarthy, L. J., Skipworth, E., Jackson, L., Nord, A., McCormick, N., Thomas, A., . . . Danielson, C. F. (2005). Transfusion medicine illustrated: muddy plasma. Transfusion, 45(6), 825. PMID 15934977. Danielson, C., Houseworth, J., Skipworth, E., Smith, D., McCarthy, L., & Nanagas, K. (2006). Arsine toxicity treated with red blood cell and plasma exchanges. Transfusion, 46(9), 1576-1579. PMID 16965586. McCarthy, L. J. (2006). The experience of treating patients with thrombotic thrombocytopenic purpura with solvent detergent plasma. British Journal of Haematology, 133(1), 107; author reply 108. PMID 16512839. McCarthy, L. J., Danielson, C., Houseworth, J., Graves, V., Jackson, L., Nord, A., . . . Smith, D. (2006). Transfusion medicine illustrated. Black plasma resulting from inhalation of arsine gas. Transfusion, 46(8), 1267. PMID 16934056. McCarthy, L. J., Graves, V. L., & Skipworth, E. (2006). Reply . Transfusion, 46(6), 1060-1061. PMID 16734828. McCarthy, L. J., & Hawley, D. A. (2006). Marrow emboli in acute chest syndrome: Artifact or etiology? Transfusion, 46(10), 1657-1658. PMID 17002619. McCarthy, L. J., & Hawley, D. A. (2006). 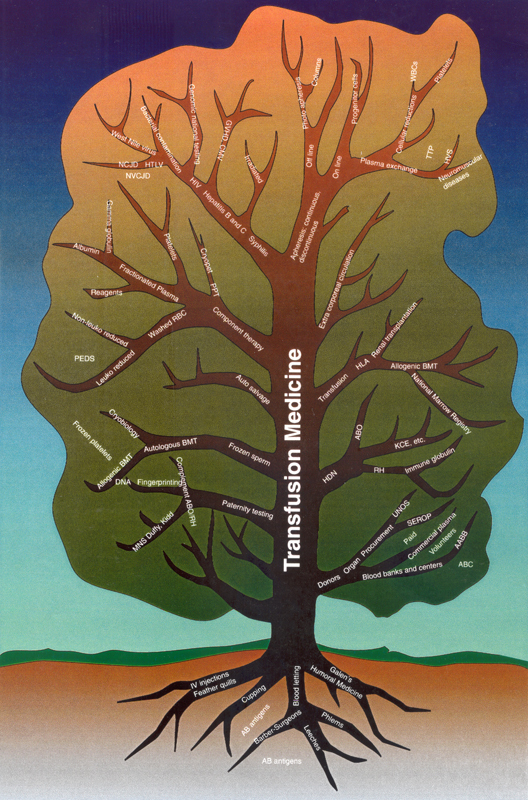 Transfusion medicine illustrated. Marrow emboli in acute chest syndrome: artifact or etiology? Transfusion, 46(10), 1657-1658. PMID 17002619. McCarthy, L. J. (2007). How do I manage a blood shortage in a transfusion service? Transfusion, 47(5), 760-762. PMID 17465938. Cruz, J., Skipworth, E., Blue, D., Waxman, D., McCarthy, L., & Smith, D. (2008). Transfusion-related acute lung injury: a thrombotic thrombocytopenic purpura treatment-associated case report and concise review. Journal of Clinical Apheresis, 23(2), 96-103. PMID 18306280. Blue, D., Graves, V., McCarthy, L., Cruz, J., Gregurek, S., & Smith, D. (2009). Fatal transfusion-transmitted Babesia microti in the Midwest. Transfusion, 49(1), 8. PMID 18694463. Hawley, D. A., & McCarthy, L. J. (2009). Sickle cell disease: two fatalities due to bone marrow emboli in patients with acute chest syndrome. American Journal of Forensic Medicine & Pathology, 30(1), 69-71. PMID 19237860. Okroi, M., & McCarthy, L. J. (2010). The original blood group pioneers: the Hirszfelds. Transfusion Medicine Reviews, 24(3), 244-246. PMID 20656191. McCarthy, L. J. (2012). My experiences with apheresis. Therapeutic Apheresis & Dialysis: Official Peer-Reviewed Journal of the International Society for Apheresis, the Japanese Society for Apheresis, the Japanese Society for Dialysis Therapy, 16(3), 203-204. PMID 22607561. The origins of blood transfusion are lost in the myths of antiquity, but certainly the existence of the A and B antigens in nature provide the basis for crucial serologic testing. Leeching was known to the ancient Egyptians in 3000 BC and was mentioned in the ancient Sanskrit in 1500 BC as noted by Alexander the Great. It was Galen (131 AD -ca 201 AD, the physician to Emperor Marcus Aurelius, who popularized the concept of blood circulation which was subsequently disproven by William Harvey, 1628 AD. Galen popularized the humoral theory which, also was embraced by Hippocrates (470 BC-410 BC) but probably originated with Empedocles or Pythagoras. Subsequently blood letting by cupping, phlegms, and barber-surgeons attempted to release “bad blood” (bad humors) and thus reestablish the correct humoral balance which was equated with good health. The World Wars created an extraordinary demand for blood transfusion, and the Allied Forces were aided by a well-organized blood supply. Drs. Edwin Cohn and Charles Drew revolutionized the procurement and distribution of plasma and blood respectively. The technique of drawing and safely transfusing blood had given rise to establishing blood centers, hospital transfusion services, solid organ transplantation, bone marrow transplantation, frozen blood, paternity testing, plasma fractionalization, ameliorating Hemolytic Disease of the Newborn (RH disease), autosalvage, component therapy, viral testing (hepatitis B and C, HIV), apheresis, and effective therapies for hemophilia, etc… Therefore from its humble, obscure roots of origins, the tree of transfusion medicine continues to grow and blossom and the historical timeline expands further and further into the future increasing applications with relevance to modern medicine.